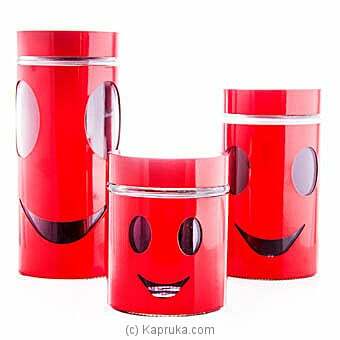 This Classy Home Basics Red Glass Canister Set is an attractive food storage option for your kitchen that also looks great on the counter top. This is a perfect gift to send to anyone at any special occasion. This contains of 3 canisters.